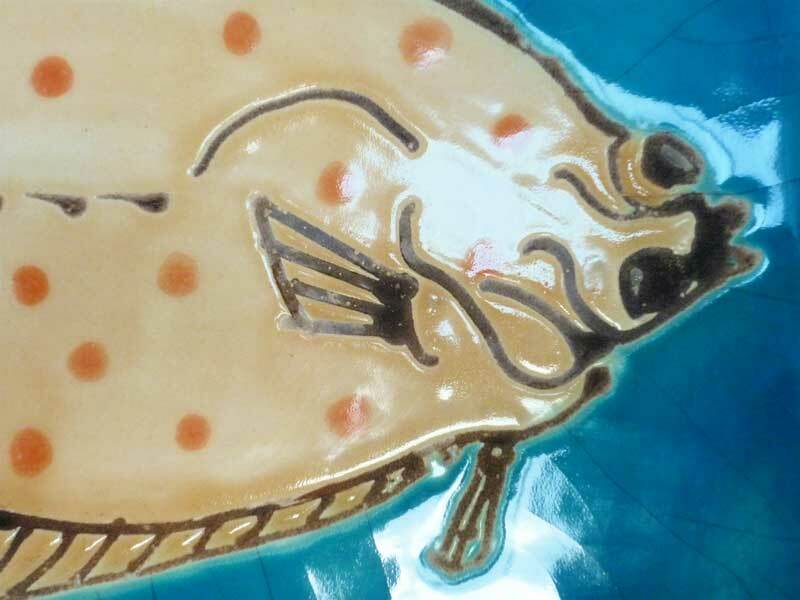 Fish tile panel- plaice. crackle glaze background. One of a series of small panels for a kitchen.